Sorry this one's later than usual. But it's still Monday, so I'm still on time. Eat it. 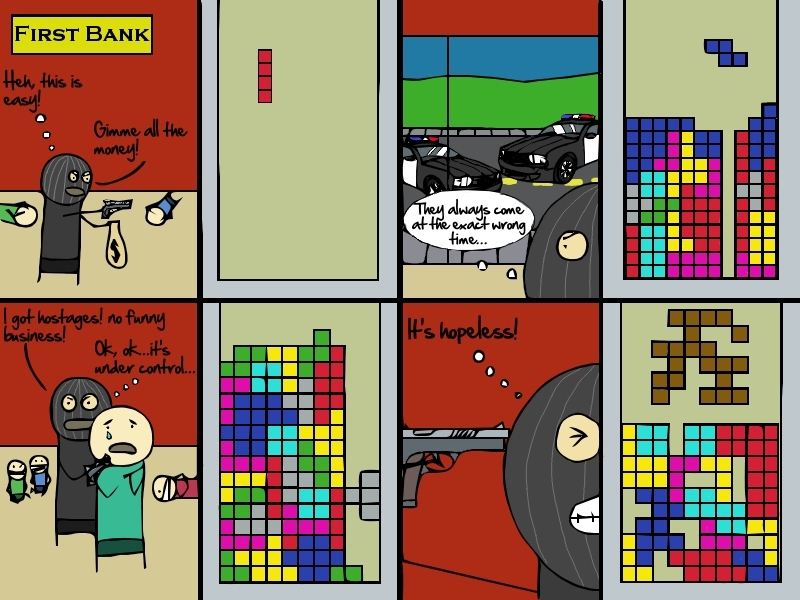 This comic peers into the criminal mind, but with Tetris. Oh, we've all been there, haven't we? I do think, however, that a green block would work better than a blue one for panel two; the blue has multiple places it could be put with no real issues. Haha, I love that the last piece is brown... like poo! Clever. I can see a variation of the xkcd style in your work.